Warm evening light illuminates Hafslo and the shore of Hafslovatnet. 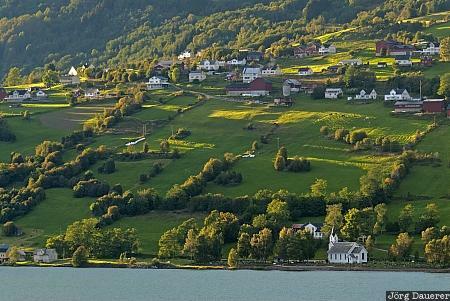 Hafslo is in Sogn og Fjordane in the southern part of Norway. This photo was taken in the evening of a sunny day in September of 2010. This photo is in the Photo Calendar "Norwegen". This photo was taken with a digital camera.